UFC 236 Fallout – Greatest back to back title fights ever? MMA Mouth Guard – OPRO Black/Gold UFC Gold Mouth Guard Review – Care for your gums! 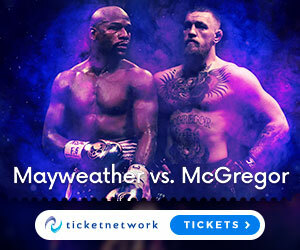 List of UFC Events – UFC 236: Holloway vs Poirier Tickets Here! Kids Boxing Gloves – RDX Kids 6oz Boxing Gloves Review – Top protection for our little Lions! Marley Dawkins on UFC Rankings – Who decides a fighters rank and how do you move up the rankings? akshaysaxena on UFC Rankings – Who decides a fighters rank and how do you move up the rankings? Linus Udochukwu Marvellous on UFC Rankings – Who decides a fighters rank and how do you move up the rankings? Marley Dawkins on ONE Championship – Who are they? If you don’t know you will soon – Let the rise Begin! © 2019 mmagateway. All rights reserved.